Two dueling Jungle Books are making their way through pre-production. Disney and Jon Favreau's has had the advantage, scoring big headlines with an all-star cast that includes Idris Elba, Scarlett Johansson, Bill Murray, Christopher Walken, Ben Kingsley and Lupita Nyong'o. But today Warner Bros has struck back with a compelling casting coup of their own, securing international star Benedict Cumberbatch. According to THR, Benedict Cumberbatch has signed on to Warner Bros' adaptation of Rudyard Kipling's The Jungle Book. In the family-adventure helmed by motion-capture master Andy Serkis, the Sherlock star is poised to play the man-eating tiger Shere Khan. The story of The Jungle Book centers on human boy Mowgli and his exploits in the jungle, where he was raised by wolves and befriends a bear named Baloo, and a panther called Bagheera. Shere Khan is a ravenous predator who relentlessly hunts the boy, making him an enemy determined to destroy the jungle cat. Interestingly enough, WB seems to be pulling from Disney's playbook on this one, as they too cast their Shere Khan first. These Jungle Books will inevitably draw comparisons. And that means we'll be seeing Disney's Idris Elba facing off against Warner Bros' Benedict Cumberbatch as dueling Shere Khans. Which means moviegoers win. 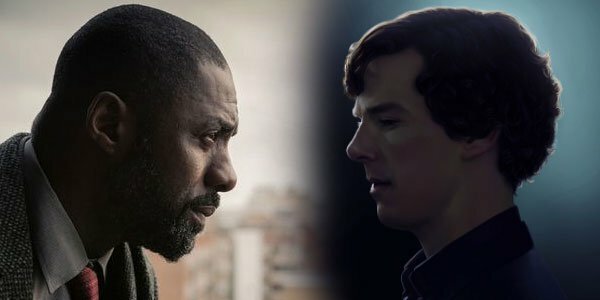 Luther vs. Sherlock! Andy Serkis will be making his directorial feature debut on WB's Jungle Book, taking up the helm that was dropped by Alejandro Gonzalez Inarritu and Ron Howard. His only previous directing experience is as second unit director for Peter Jackson on The Hobbit trilogy. This, plus Serkis's pioneering performances in Lord of the Rings and Dawn of the Planet of the Apes, has many speculating that he was chosen for this prime gig because of his vast experience with motion and performance capture tech. If Jungle Book - as suspected - does intend to employ motion capture to create the wild animals would interact with young Mowgli, Serkis seems a uniquely qualified director. By our count, Warner Bros' Jungle Book has made a stellar first step in casting. But who will fill out the rest of this wild ensemble? We'll keep you updated as this project develops. Andy Serkis' Jungle Book is slated to hit theaters October 21, 2016.